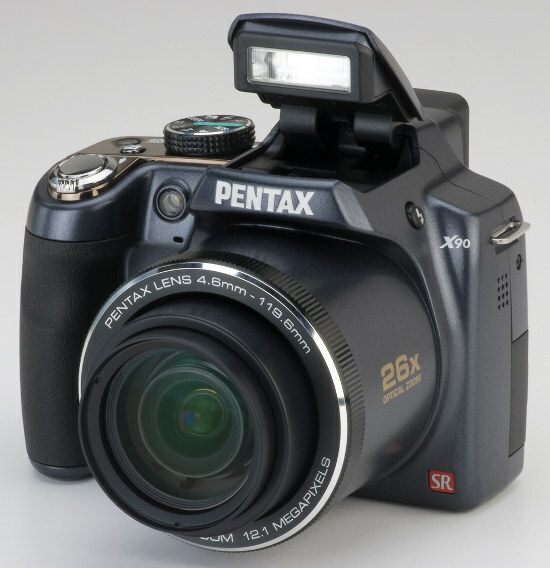 GOLDEN, CO. (February 24, 2010)...PENTAX Imaging Company announced the latest model in the manufacturer's megazoom digital camera line: the PENTAX X90. Featuring an extra-wide zoom, longer battery life than its predecessor and an electronic viewfinder, the X90 delivers effortless picture-taking in a wide variety of situations to photographers of all levels. The key feature of the PENTAX X90 is the 26X megazoom, super-telephoto lens (26-676mm equivalent) also designed with a Macro mode that focuses to less than one inch away to capture images of subjects that are near or far.